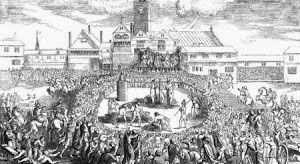 On April 5, 1531, hardened London spectators of public punishment gathered at Smithfield, joined by others too curious to stay away. An execution had been announced of a type that none had witnessed in their lifetimes, nor ever heard of. The condemned man, Richard Roose, was to be boiled alive. Roose was not of the magnitude of criminal that usually met his end at Smithfield, located just beyond the London Wall. This was the ground where the English executed the Scottish rebel William Wallace: hanged, drawn and quartered in 1305. Wat Tyler, the leader of the Peasant's Revolt, was run through with a sword at Smithfield in 1381, in the presence of young Richard II. Roose, the prisoner of our true story, was convicted of high treason, yet had not sought to harm King Henry VIII nor his queen, Catherine of Aragon, nor any royal councilor. He had not tried to overthrow the kingdom's government nor change its religious policies. Roose, a cook, was accused of murder by poison. His two victims were an obscure gentleman in the household of Bishop John Fisher, Bennet Curwen, and a destitute widow who accepted the bishop’s charity, Alyce Tryppytt. 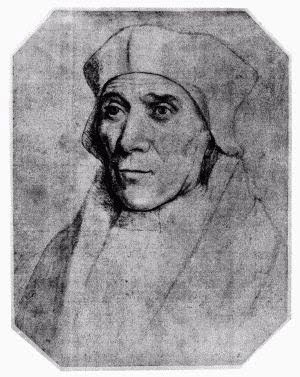 The target of the poisoning was assumed to be Fisher himself, the Bishop of Rochester. Ironically, Fisher did not eat the soup—sometimes described as porridge—that Roose prepared and so was unharmed. Roose admitted to the poisoning but claimed it was a joke gone wrong, an accident. There is no testimony for us to examine, because Roose had no trial, by command of the king. Roose's crime, the legal method of his condemnation and finally the form of punishment create a bizarre chain of events that, in a more modern age, might well have raised questions of motive in several parties, including that of Henry VIII. Although there is no question of who did the killing, this is still a tantalizing Tudor murder mystery, and reveals some of the peculiarities of the early modern age, when laws existed and homicide was considered a heinous crime, but there was no trained police force nor forensic science. Why did Henry VIII demand this punishment of a lowly cook? Why was Roose executed as a traitor when his crime was murder of commoners? The answer lies in the King's complex feelings for Bishop Fisher. But by the time of the crime in question, King Henry was no longer proud of Bishop Fisher, 62 years of age. It would be safe to say he considered him an enemy. And it would have made the King's life much easier if Fisher had lost his—if he had consumed the soup. In 1527, when Henry VIII, desperate for a male heir, began his public quest for an annulment from 42-year-old Catherine of Aragon to marry the delectable Anne Boleyn, Fisher became one of his most serious obstacles. The question of the royal marriage was a theological one, and if Europe's most respected theologian had agreed in the rightness of King Henry's cause, it would have done much to bring about the annulment. But Fisher took the side of Catherine of Aragon, vigorously and openly. The marriage was legal and could not be dissolved. The king and Cardinal Thomas Wolsey put increasing pressure on him to cease his opposition—to no avail. He refused to sign a statement of support from the clergy that Archbishop of Canterbury Warham submitted to the king, and when Warham said the statement had unanimous support, Fisher said loudly, to the King's face, that that was a lie. *In 1529, Bishop Fisher announced at the legatine trial of the royal marriage that it would impossible to die more gloriously than in the cause of marriage, as John the Baptist did. * In 1530 he devoted himself to writing books defending the cause of the King's first wife. He would publish seven in all. * In December 1530, Fisher was summoned to the house of Archbishop Warham and there, with a compliant bishop and two of the King's legal advisers, ordered to retract his writings and take the King's side. He did not. 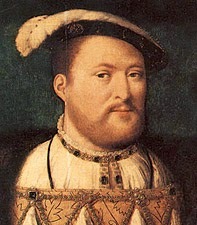 * In January 1531, Henry VIII received letters from the Pope telling him that he must order Anne Boleyn from the court and that if he were to marry her before a divorce from Catherine of Aragon was decided, he would face excommunication. The quest for a divorce was not going well. 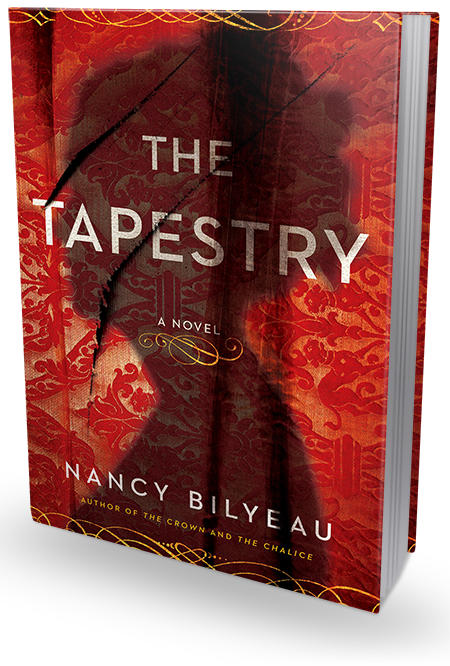 “After this the Bishop escaped a very great danger. For one Richard Rose came into the Bishop's kitchen, being acquainted with the cook, at his house in Lambeth-marsh, and having provided a quantity of deadly poison, while the cook went into the buttery to fetch him some drink, he took his opportunity to throw that poison into a mess of gruel, which was prepared for the Bishop's dinner. And after he had waited there a while, he went on his way. “But so it happened that when the Bishop was called into his dinner, he had no appetite for any meat but wished his servants to fall to and be of good cheer, and that he would not eat till toward night. And they that did eat of the poisoned dish were miserably infected. And whereof one gentleman, named Mr. Bennet Curwen and an old widow, died suddenly, and the rest never recovered their health till their dying day." An inquiry began at once. Although a trained, salaried police force did not yet exist in England, criminal investigation was taken seriously. Justices of the peace, appointed by the monarch, received and investigated complaints; coroners viewed dead bodies and ordered arrests. Now if a suspect was bound over for trial, freedom was unlikely. Defendants charged with felonies or treason were not entitled to lawyers; rules of evidence did not exist. In fact, murder trials rarely lasted more than 15 minutes. Roose was soon apprehended, and admitted to adding what he believed were laxatives to the soup as a "jest." No one believed him. “They say that the cook, having been immediately arrested... confessed at once that he had actually put into the broth some powders, which he had been given to understand would only make his fellow servants very sick without endangering their lives or doing them any harm. I have not yet been able to understand who it was who gave the cook such advice, nor for what purpose." We share Chapuys’ frustration. Who gave the cook these powders and told him that they would sicken and not kill? If that information was obtained, it was not shared with the public, not to mention Chapuys or any other ambassador to the court. No transparency. 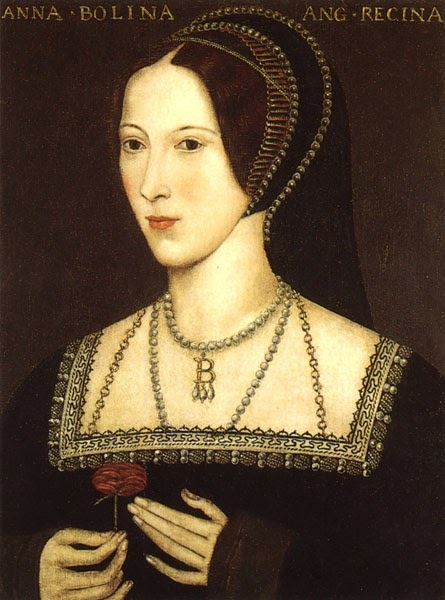 Sir Thomas More, the lord chancellor, informed Henry VIII that there were rumors that Anne Boleyn and her father and brother, Thomas and George Boleyn, were involved in the poisoning attempt. The king reacted angrily, saying Anne Boleyn was unfairly blamed for everything, including unpleasant weather. The murder motive and the question of a larger plot were soon obscured by Henry VIII's drastic actions. He decided that Roose should be condemned by attainder without a trial—a measure usually used for criminals who were at large. Roose was sitting in prison! Nonetheless, Parliament passed "An Acte for Poysoning," making willful murder by means of poison high treason even if the victim was not head of the government of the land. And boiling to death became a form of legal capital punishment. This crime was especially heinous, the king's representatives said, and thus called for such measures. Several biographers have noted King Henry’s extreme fear of poison. Although the monarch’s paranoia became infamous in later years, there was some basis for concern. Everyone had heard the stories of murder by cantarella in Rome during the time of the Borgias. Pope Alexander VI, Rodrigo Borgia, died—perhaps of poison slipped into his food at a banquet—during the reign of Henry VII. Cantarella was believed to have been arsenic trioxide. Did substances with poisonous properties exist in England at this time? Yes, they did, and were in the reach of the apothecaries, who acted as pharmacists and diagnosticians for most English people. Not only did the physicians recoil at the thought of an autopsy—which was forbidden by the Church—they rarely put hands on the living. Tudor doctors believed the body was ruled by the four humours, as taught by the Greek 2nd century doctor/philosopher Galen, and often used astrological charts and examined urine to determine treatment. If poison was ever suspected as the cause of death, there was no way to scrutinize its damage within the corpse to confirm. And should the poison itself be obtained, the field of analytical chemistry was four centuries away. Not surprisingly, rumors ran wild. Poisoning was rumored (never proven) to be the cause of the deaths of Queen Anne, Richard III’s wife; the eventual death of Catherine of Aragon; and the agonizing death of Henry’s son, Edward VI. The Tragedy of Hamlet, Prince of Denmark, written in the reign of Henry’s daughter, Queen Elizabeth I, employed poison, of course. Shakespeare wove it into five other plays too. But there was more to this than royal terror of a poisoned dish. 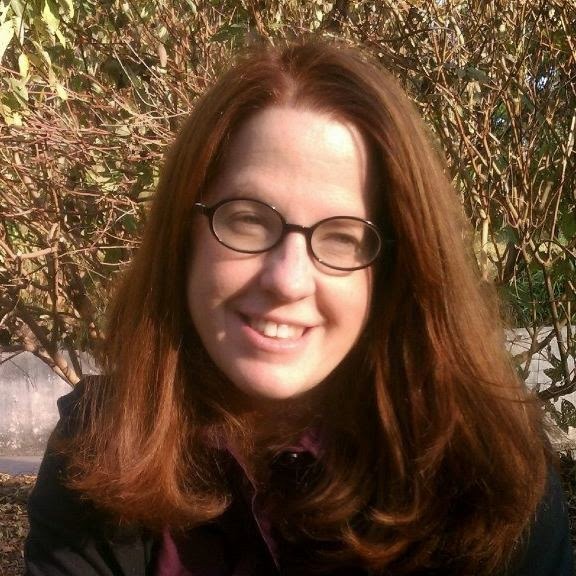 As historian K.J. Kesselring wrote in The English Historical Review, “This may explain the severe, exemplary punishment of boiling, but not the need to label the offense treason." Chapuys questioned the King's actions and lack of trial in his letter to Emperor Charles. Regardless of the "demonstrations of sorrow he makes, [Henry VIII] will not be able to divert suspicion," wrote the ambassador. But no accusations were ever made, of course. There are several addendum’s to this story. When, after the king married Anne Boleyn, Bishop Fisher refused to swear an oath of supremacy to the king, he was arrested. The pope made Fisher a cardinal to protect him, but it only enraged the king more. Once he’d ordered a savage punishment of the man who tried to kill Fisher, and now Henry VIII wanted Fisher gone. After a difficult imprisonment, during which he was continually pressured to sign the oath and refused, Fisher was beheaded on June 22, 1535 on Tower Hill. The crowd gasped when they saw him on the scaffold for he was "nothing...but skin and bones...the flesh clean wasted away, and a very image of death." In his speech to the crowd, Fisher is said to have shown a calm dignity. As Eamon Duffy writes, "Maybe absolute integrity is destined always to fall afoul of absolute power." Fisher's head was stuck on a pole on London Bridge, as was the custom with traitors. But then something very disturbing happened. Word swept through London of the miracle of Fisher's head, drawing thick crowds to look on it, until "an executioner was commanded to throw down the head in the night time into the Thames." All of these reports were said to have greatly unnerved King Henry. The law of attainder—condemnation of treason without trial—would be used by Henry VIII against Sister Elizabeth Barton, Chief Minister Thomas Cromwell, his fifth wife Catherine Howard, and several others. Then, in 1547, in the reign of Edward VI, the 1531 act was quietly repealed. No one was ever lowered into a boiling cauldron again, for whatever reason, at Smithfield. And in 1886, the Catholic Church made John Fisher a saint. Fascinating, Nancy! Wonderful tale, if a somewhat ... um... er... distasteful... subject. There had to be some horrid anger involved, to order such a horrid method of execution. I'm not sure whether to suspect the Boleyns or Henry himself. Both certainly had plenty of motive. I'll echo EvKa and agree it's a fascinating account, Nancy. What are your own conclusions about all this? At the risk of seeming insensitive, could this possibly bear any connection to the phrase, "ending up in the soup?" Jeffrey, seems very possible to me! Such an intriguing case, with so many unsolved questions. Thanks for the post! St John Fisher pray for us!